It was gathered that many worshippers and visitors including the governor Mr. Udom Emmanuel sustained serious injuries. 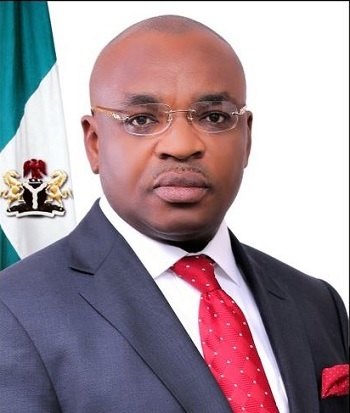 An eyewitness said the ugly incident occurred about 11,:00am, just few minutes after governor Udom Emmanuel and his entourage entered inside the church. She added the governor and many others however narrowly escaped death but sustained serious injuries. Udom Emmanuel was supposed to be a special guest at the ordination of the founder of the church, pastor Akan Weeks as bishop. However, emergency ambulances were spotted along barracks Road about 12:30pm carrying some of the wounded victims and heading towards the Ibom specialist hospital at Itam. The governor’s condition was not ascertained at the time of filing this report even as sources said he was rushed out immediately the unfortunate incident occurred. They also set up a 21-member steering committee to manage the affairs of the party until a lawfully organised national convention. The group also described as unacceptable and against the established principles and practice of PDP, the zoning arrangement announced by the Akwa Ibom State governor, Emmanuel Udom, who headed the zoning committee. 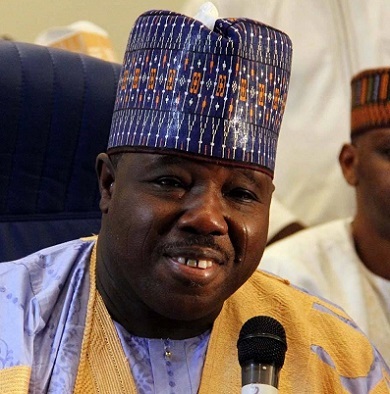 But the PDP National Chairman, Senator Ali Modu Sheriff, said the group wants to divert attention from their misdeeds that led to the party losing the 2015 presidential election. Sheriff, who spoke through his Special Assistant, Media and Publicity, Alhaji Inua Bwala, threatened to drag some of them before the Economic and Financial Crimes Commission (EFCC) to explain how they mismanaged the party’s resources. The Concerned PDP group, led by former Minister of Information and Orientation, Prof. Jerry Gana, however could not name members of the steering committee. The NWC, who sees to the day-to-day activities of the party, consists of 24 members. The group added that the steering committee members would work intimately with members of the Board of Trustees (BoT) until new leadership of the party is elected in accordance with the provision of the PDP constitution. “We enjoin all our party faithful nationwide not to despair. The new steering committee will soon embark on a nationwide tour, to address and resolve all issues and areas of conflict in every state of the federation. “The steering committee will immediately put in place a National Reconciliation Committee to reconcile all previously aggrieved party members,” the group said in a communiqué jointly signed by former Deputy President of the Senate, Senator Ibrahim Mantu, former Minister of Education, Prof. Tunde Adeniran and Chief Raymond Dokpesi. It condemned the attempt to amend the PDP constitution by “illegal NWC” in order to muzzle and control the BoT, and called for the strengthening of the board to function effectively as true conscience of the party. Concerned PDP Leaders present at the summit were Gana, Oyediran, Mantu; Onyia, Dokpesi, ABC Nwosu, Okwesilieze Nwodo, Auwal Tukur, Doyin Okupe, Chief Ojo Madueke, Chief Olabode George, Hajiya Inna Ciroma, Shehu Gabam, Mrs, Remi Adiukwu, Dr. Shettima Mustapha, Ambassador Wilberforce Juta, and Haliru Ndabawa. Others include Senator Aniete Okon, Suliaman Abubakar, Hajiya Zainab Maina, Bala Mohammed, Senator Grace Bent, Esther Audu, Senator Ibok Essien, Alhaji Ibrahim Bunu, and Adamu Maina Waziri. The group also include former Taraba State governor, Alhaji Umar Garba; Senator Abdul Ningi; former PDP national chairman, Vincent Ogbulafor; Tanimu Turaki; ex-Minister of Women Affairs, Mrs. Josephine Anenih; Stella Omu; Senator Tunde Ogbeha and former Minister of Transportation, Ebenezer Babatope. Sheriff specifically threatened to drag Gana before the EFCC in connection with the sum of N500 million he allegedly collected from the Syke Bank. “These were the same characters that deceived President Goodluck Jonathan into failure. Unfortunately, most of them still go round to ask the chairman for one favour or the other and when the chairman declines they take offence against him. “I know as a fact that Gana has written to the national chairman to allow him nominate some people into certain committees or allow them perform certain functions for the party. “This is the same man who recognised the national chairman, writing to him on the need to submit the report of the finance committee which he headed. The chairman has been running away from receiving that report because it is on record that the same Jerry Gana, on behalf of the party without using the machinery of the party, collected the sum of N500 million from Skye Bank on behalf of the PDP for which the party has been dragged to court and is being compelled to pay back.